Fully integrated analytics with a wide range of KPI dashboards offering real-time auto-refreshed monitoring at both merchant and consumer level. 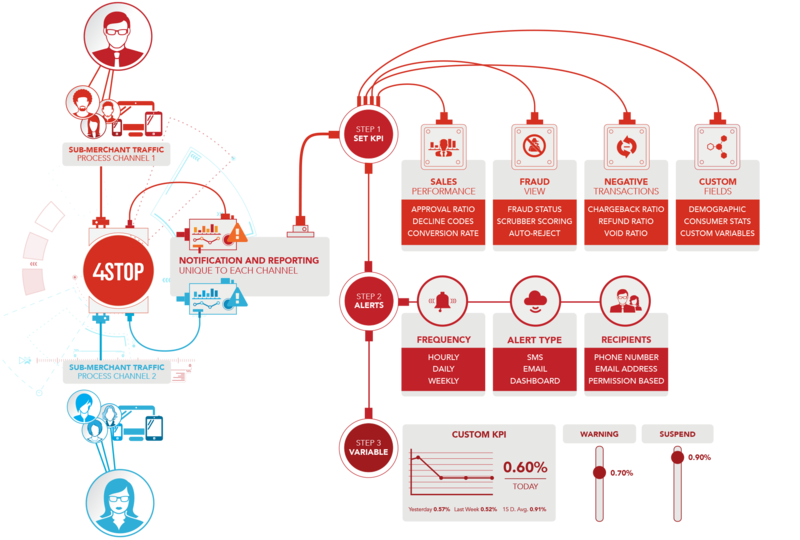 Our single API integration provides one consolidated view of risk, layered with leading-edge anti-fraud tools to streamline your operations, improve your reaction times and maximise revenues. Built with a pre-determined rules wizard, time-limited settings, full control of rule scripting, weighting and automated system actions. The only limitation is your imagination on configurations. 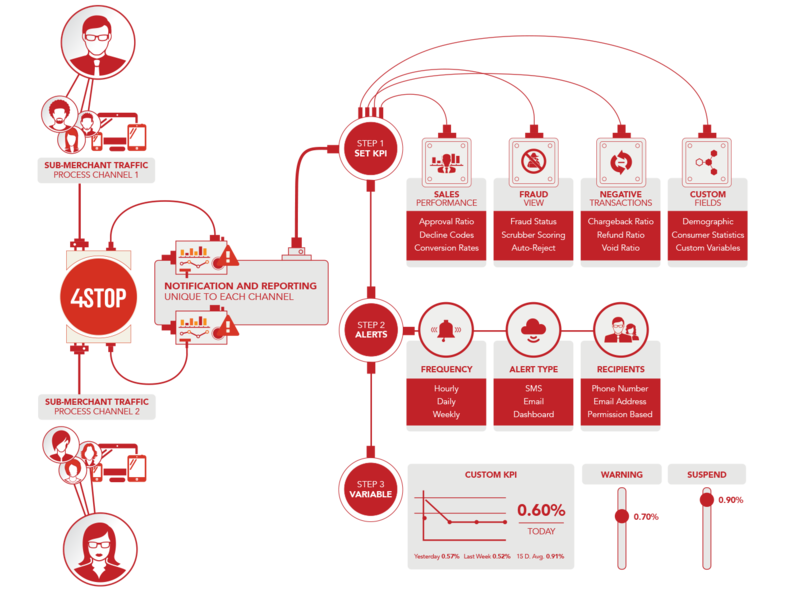 From real-time screen feeds, customised KPI dashboards and alerts drilled down to sub-merchant level, to detailed customer profiling, association logic, one-click reporting and more. Assign rules to any scenario, from deposit, to site funds exchanges and money disbursements. Simple conditional and static based rule creation with essential building blocks. 800+ parameters. Easy. 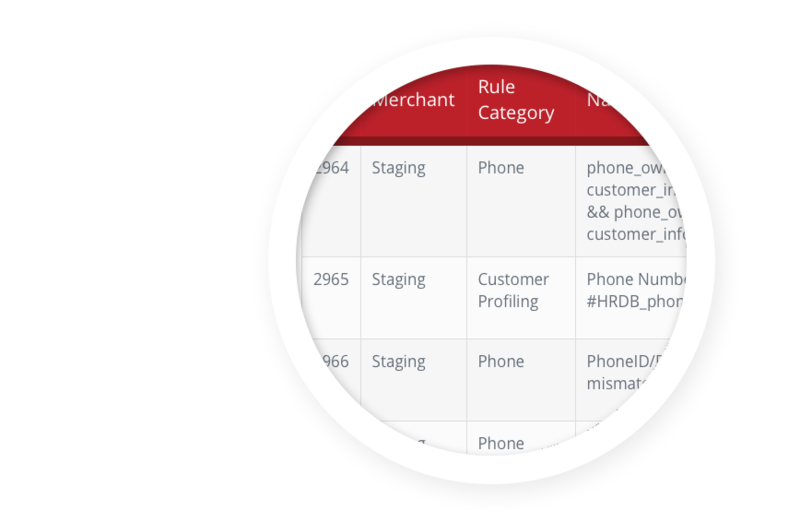 Categorise your rule from compliance to transactional behaviour with customise on name and description. Up-to-the-minute on screen feed of new transactions with configurable alerting by custom criteria from merchant level drilled down to consumer level. 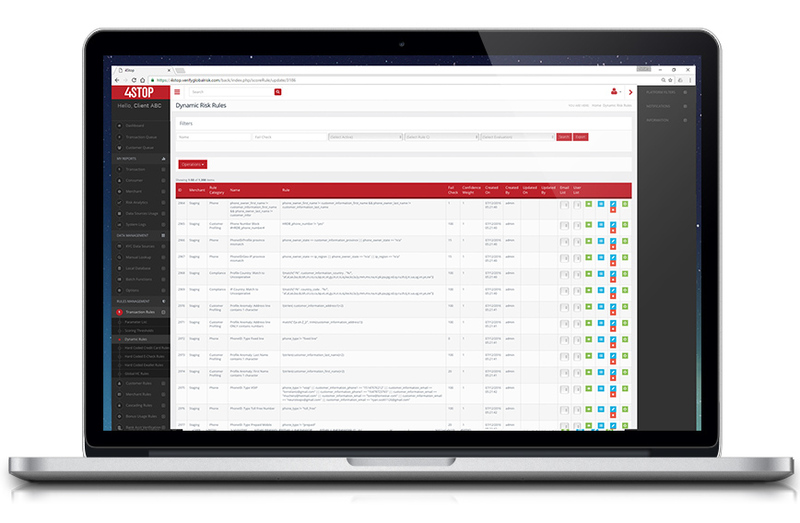 Exceptionally detailed case review with a wide range of data vendor responses, deep profile linking, customer history, and comprehensive access to rules results. Alerts when, where and how you need them. 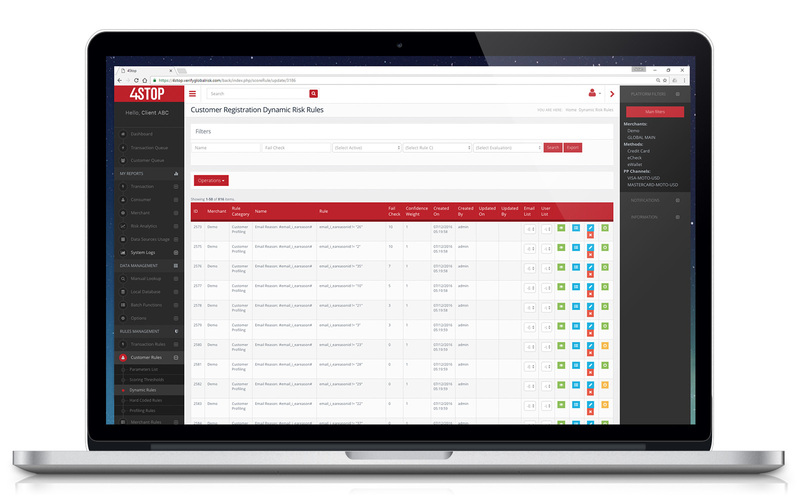 Fully customise rules-based email alerts, with permissions based logic, plus instant side-bar alerts for back-office users. Instantly identify shared accounts across unique and global networks through the use of risk rules numerous attributes in full, fragments and time frame intelligence. Instantly targeted one-click reporting. 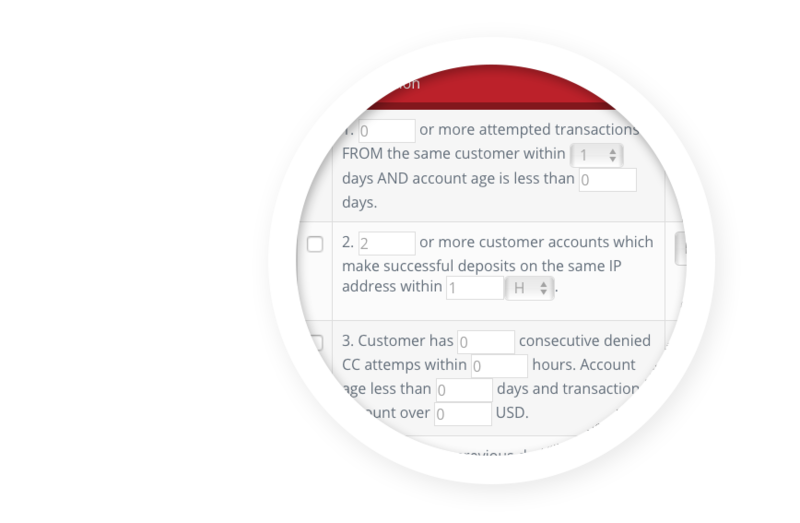 Review queues configured for various criteria with performance monitoring for backlog size, age and streamlined audits. Smart case review toolkit for analytics that includes social profile check, ‘sticky’ decisions, data vendor on-demand, shared operations team notes and more. 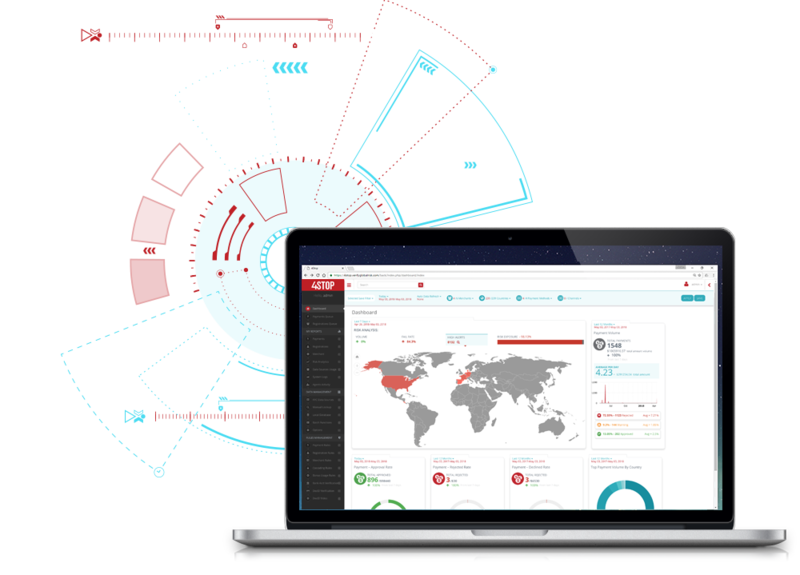 Multi-level customisation on your monitoring and alert experiences with flexible KPI dashboards that can be tailored specifically to your clients and sub-clients monitoring needs. Enter new markets around the globe with absolute confidence. Effortlessly create customer and whole market profiles to review and activate any data sources required in real-time or a 5 day SLA integration. World-class support offered 24/7 from our team and Data Scientists. Whether you just need to ask a question about a feature or need to grow or adjust your solution, we are here in hand to help. The application runs on a PCI compliant Data Center and complies with the US and EU Safe Harbor Framework regarding the collection, use and retention of personal information. All the communication to the server is done over HTTPS TLS 1.2 filtered with a Web Application Firewall (TrueShield). Our platform integrates into any new or legacy platform, provides the largest selection of KYC data sources to choose from and is pre-programmed with thousands of anti-fraud parameters. Use our complete end-to-end solutions or work with our Data Scientists to design and integrate a solution that is specific to your business' needs and risk management platform. Verify as many customers possible at level 1 KYC vendors before increasing to level 2, 3 and so on. 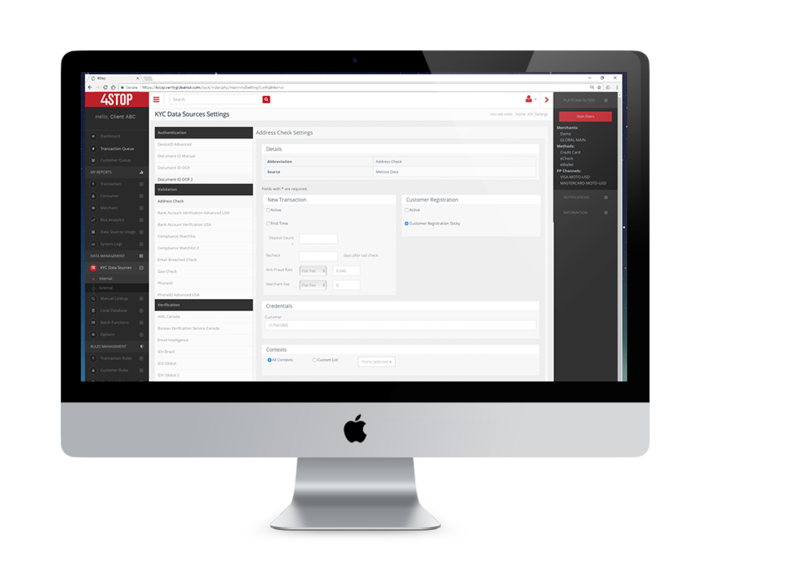 Allowing your business to simply achieve 100% conversions in a cost-effective and frictionless manner. Stay compliant. Combat fraud. Grow with confidence. We believe in innovative access to KYC validations that simplify compliance, regardless of regulatory requirement updates, whilst protecting against fraud. Allowing businesses to grow their business around the globe with confidence. Copyrights © 2019 FourStop GmbH. | Website developed by HumanPaste.